This work represents the sacred Maraian Ceremony of the Kunwinjku clan of Western Arnhem Land. © Estate of Yirawala. Licensed by Copyright Agency. 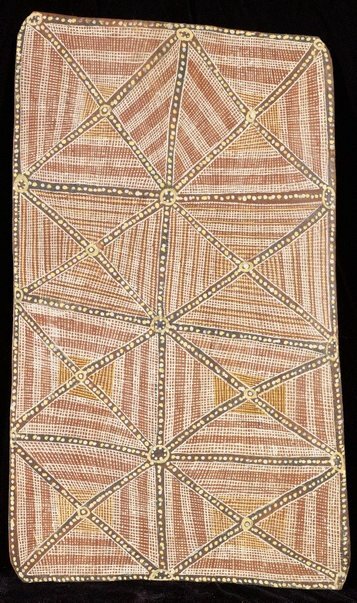 Deborah Edwards, One sun one moon: Aboriginal art in Australia , ‘Histories in the making: Aboriginal Art and modernism’, pg. 51-63, Sydney, 2007, 60 (colour illus.). Crossing country: the alchemy of western Arnhem Land art , Sydney, 2004, 36 (colour illus., right image), 231.